We can accommodate almost any species, width or length you are looking for, as long as it exists. From the standard 2 ¼” wide solid oak flooring to wide plank quartersawn oak, wide plank pine, American walnut, exotics, unfinished engineered…you name it. There are so many wonderful variations with every species of wood, like Bird’s Eye Maple, Fumed Oak and Straight Grain Brazilian Cherry just to name a few. Along with unfinished flooring come many finishing options. There are many types and colors of stains, various finishes such as oil-based polyurethane, water-based finishes, and all natural vegetable-based penetrating oils which give the flooring a very natural look. Let us navigate you through the options to help you choose wisely. When looking for carpeting, there are a few factors that we can help you evaluation. We can explain what each of the carpet fibers have to offer as far as durability and ability to repel stains. Another consideration is the density of the carpet. You want a high number of fibers per square inch. A closely packed pile is an indication of a well-made carpet. We will review the manufacturer’s performance rating guidelines on any carpet you are interested in, along with types and styles. This will help ensure that you make the best decision. Because laminates are stress resistant, they can be engineered for use most anywhere in the home, including wet areas such as the kitchen. They can also be built over heated concrete slabs. Laminates can be easily installed, and as they don’t need much cleaning or protection. They are beautiful on their own, or when combined with carpets or rugs. LVT is a perfect solution for combining the beauty of Earth’s natural woods and stones in a durable and sturdy material. With multiple sizes and shapes, coupled with a myriad of designs and colors, LVT offers a truly unique flooring option. LVT comes in styles that can replicate unique woods., and styles, including distressed and rustic woods. Combined with many patterns that simulate stone, LVT will let your creativity run wild. Vinyl Composition Tile (VCT) VCT is a contemporary flooring material suitable for high traffic areas, Suitable for areas that require high maintenance, it is durable material and can withstand abrasion and impact damage. There are multiple patterns and color variations that allow for creative and beautiful design possibilities. The flooring is typically cut in 12″ x 12″ squares or 12″ x 24″ rectangles. Using reclaimed wood, we can create flooring options for a rustic look. We also provide furniture made with reclaimed pieces. Gym and Aerobic flooring is designed to withstand heavy exercise machine as well as withstand the constant pounding of feet. Gym flooring provides good traction , complimenting rubber shoes or sneakers. A multi-purpose gym flooring that is typically multi-layered and contains a rubber granulate base covered with polyurethane. We offer Bona DCS 95% dustless refinishing. Traditional hardwood floor sanding is typically an extremely dusty process – a dust-storm in the home, a clean-up headache that never ends, and a potential health risk to you. With Bona’s dust-free sanding those days are gone! We also use low VOC Bona Kemi finishes to complete the clean refinishing option. 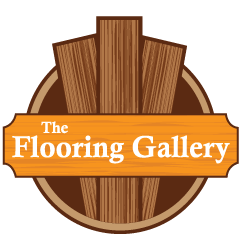 © The Flooring Gallery, LLC., All Rights Reserved! Designed & Powered by ILGM, Inc.